An American flag crafted in the USA from SolarMax® Nylon by DuPont®. Features sewn stripes and embroidered stars. Ideal for indoor or outdoor display. 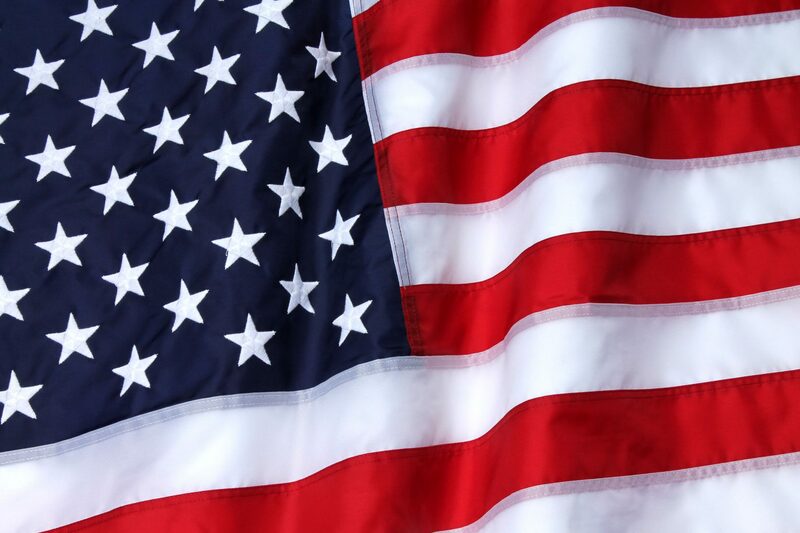 Our nylon American Flag is made from the highest quality nylon available – SolarMax® Nylon by DuPont®. Manufactured in the USA in an ISO 9001:2008 certified manufacturing facility, it features sewn stripes and embroidered stars. Color is rich and fade resistant. You won’t find a more well made American flag anywhere. Other quality features of our American flags include: lock stitched seams on the stripes to prevent stripe separation, quadruple stitching on the fly-end (the end furthest from the pole when the flag is flying) and heavily reinforced, box stitching at the top and bottom corners to resist fraying. Tough enough for outdoor use, these flags are also beautiful enough to be displayed indoors. The ideal compliment to any of our ISO flags. If high wind area, you may be better suited with our 2-ply polyester American flags. They feature all the durability features of our nylon flags but are made of heavier material which allows them to last longer in high-wind areas. How long with this American flag last? If flown outdoors, 24/7/365, this flag should last between 6 and 12 months. Depending on weather conditions in your area, this could vary greatly. In calm conditions, the flag may last well more than a year. On the other hand, a single intense storm can shred any American flag, no matter how well made. Learn about the history of the American flag at Wikipedia.org.